The classic in landscape format! The large photo book in landscape format is perfect for your panoramic photographs. It's the perfect book for sun sets, sea views and long, rolling landscapes. 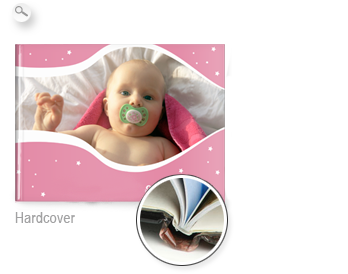 You have complete freedom to design the picture hardcover with your own photos and text! Up to 154 pages provide plenty of space to freely layout your pictures. You can also freely design the cover and spine of the hard or soft covers with your pictures and text.